Click here to view their latest prayer letter. 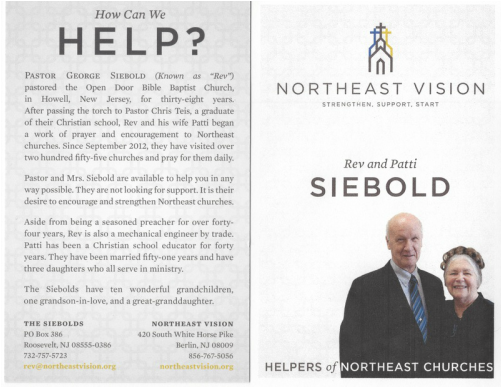 George and Patti Siebold have ministered in the northeast for over 40 years. Pastor Siebold served for many of those years as the pastor of the Open Door Bible Baptist Church in Howell, NJ. They are now assisting churches throughout the northeast.